Earthy clay burner with votive candle to emanate scent from incense granules or other scented materials. Also useful as a tea leave roaster for small quantity of leaves. 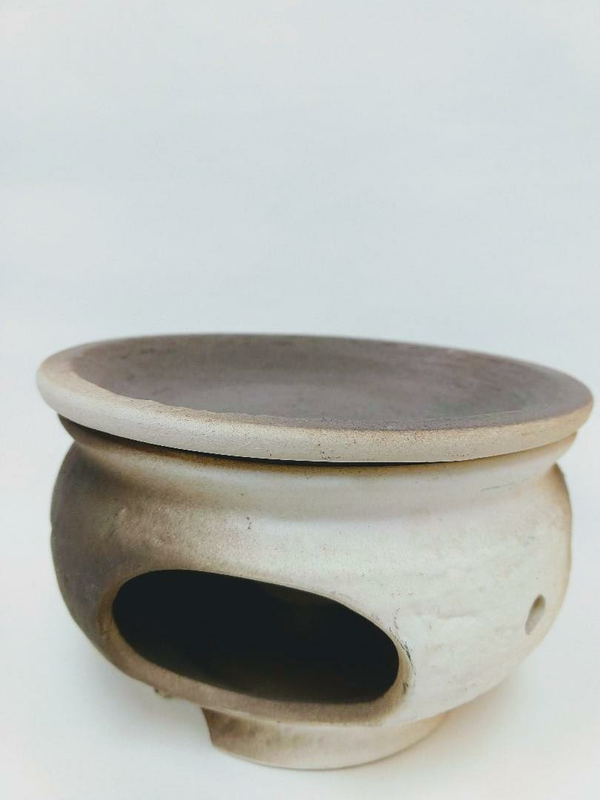 A separate lid dish measures 5 5/8" diameter. 3 1/2" in height.